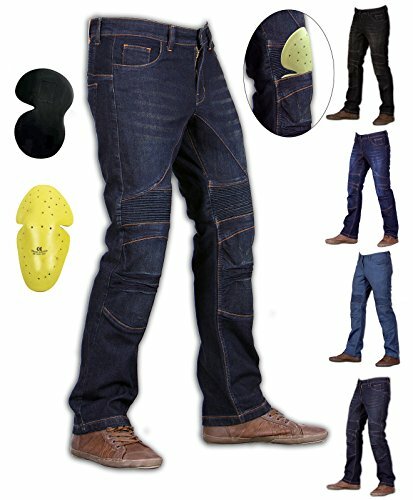 12oz stretch denim (cotton 96%, spandex 4%). Reinforced with 100% Authentic DuPont KEVLAR® aramid fibres on Thighs and Knee impact Areas. DuPont and KEVLAR® are registered trademarks of E.I. Du Pont de Nemours and Company. Suitable for daily use. Stretch shirring panel above the knee and waist-back for better movement. Easy insertion of knee protectors from outside. Non-shrink treatment. Fully machine washable and able to be tumbled dryed.